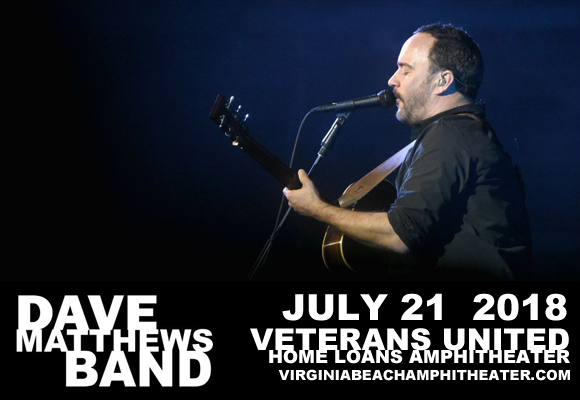 Dave Matthews Band are bringing their annual North American summer tour to Veterans United Home Loans Amphitheater on Saturday 21st July 2018 ahead of a brand new album – their first since 2012's Away From the World! The band are known for their incredible live shows, having made a name for themselves on the jamband/festival circuit over the years, and with new material to perform, this looks to be a very special show! Tickets available now! American rock group Dave Matthews Band began in 1991 in Charlottesville, Virginia as a college band, playing local venues, frat houses and the like. After gaining a following in the area, the band became known for their energetic and impressive live shows, a reputation they still hold today – from 2000 to 2010, the band sold more tickets and earned more money than any other act in North America. They released their debut album, Under the Table and Dreaming, in 1994 to critical and commercial success, and by 1997 the band had earned four Grammy Award nominations. Dave Matthews Band has sold over 50 million records worldwide, and their number-one album Away from the World (2012) made Dave Matthews Band the first group ever to have six consecutive studio albums debut in the top spot.